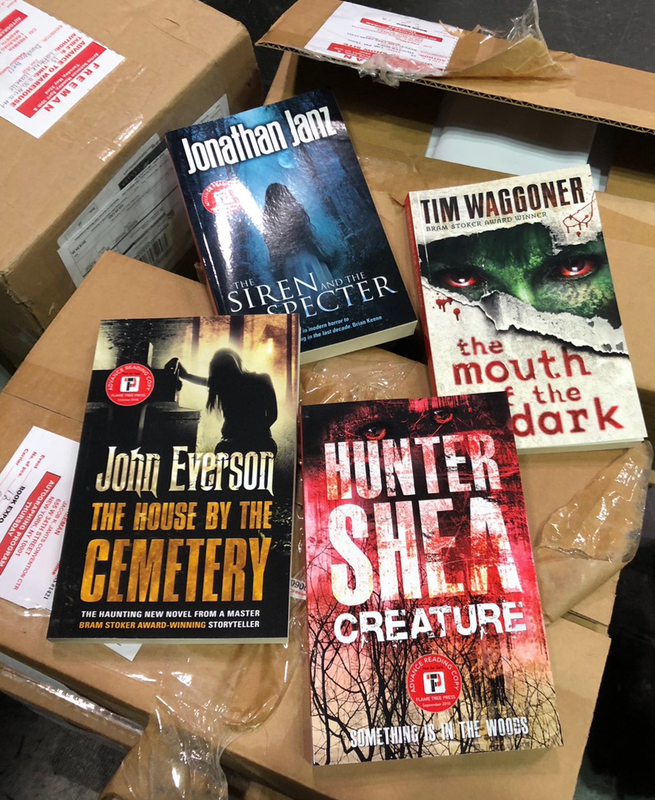 Home The Horror Life Book Expo 2018 – A Flame Tree Preview! 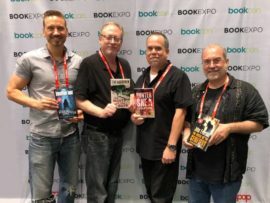 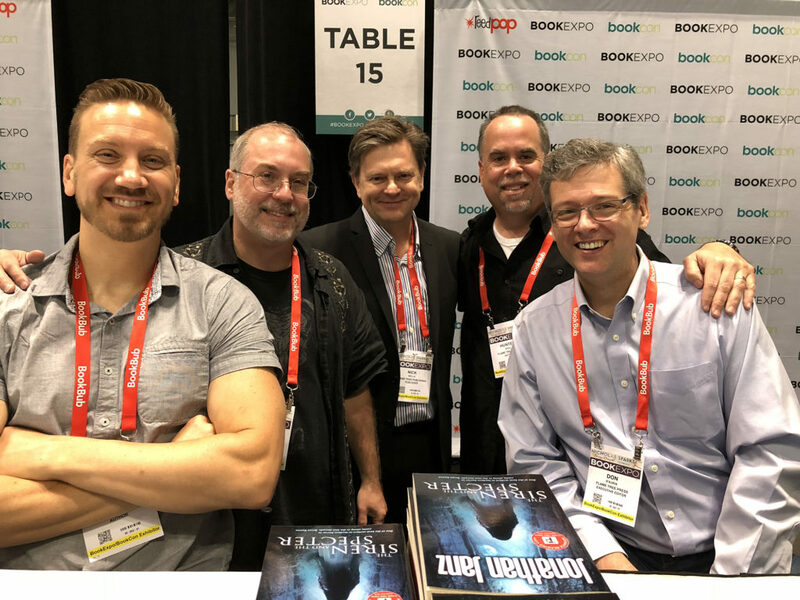 A WEEK AGO at this time, I was having dinner in New York City with my new publisher, Nick Wells, my editor Don D’Auria, and three of my favorite fellow authors — Tim Waggoner, Jonathan Janz and Hunter Shea. 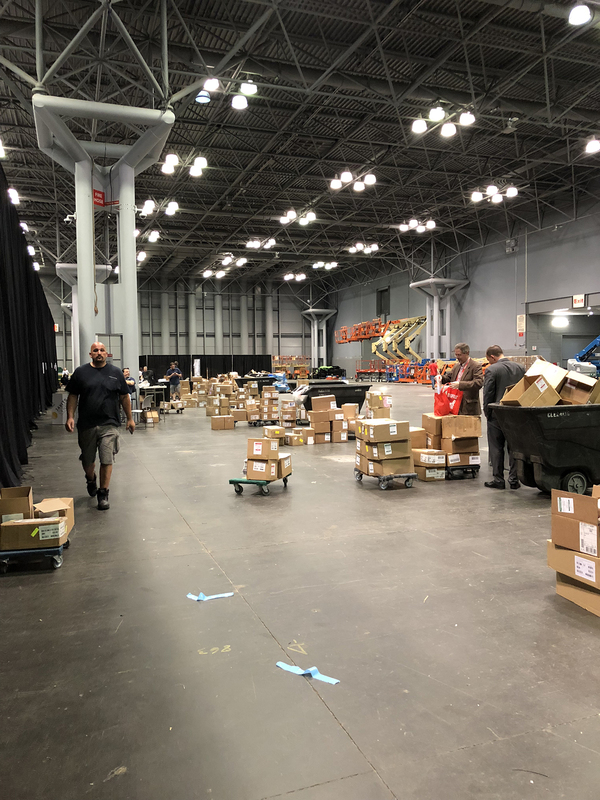 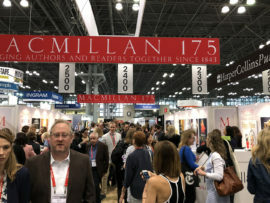 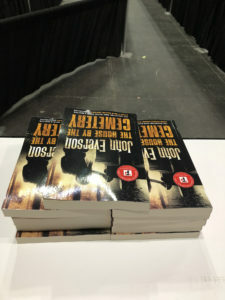 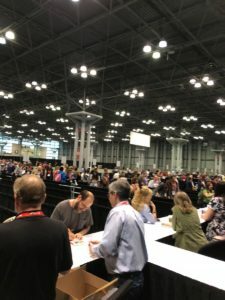 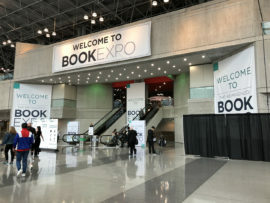 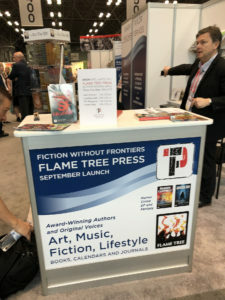 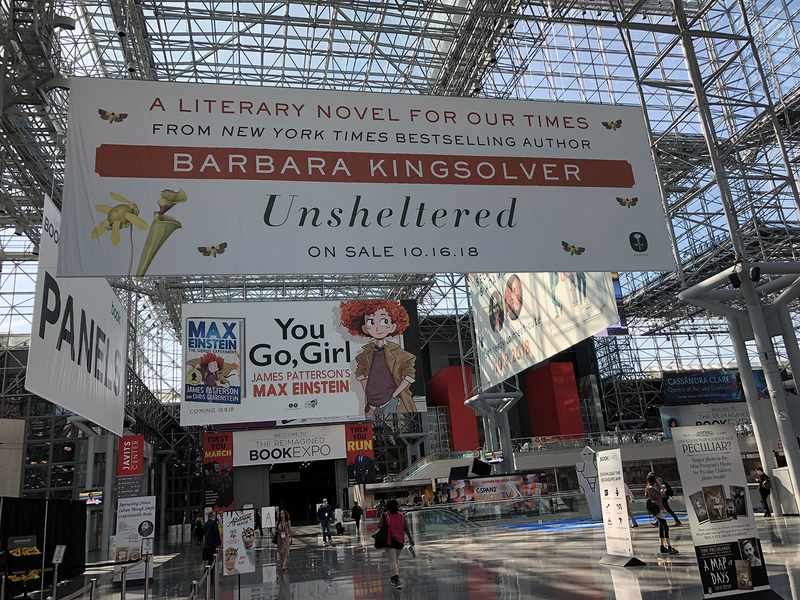 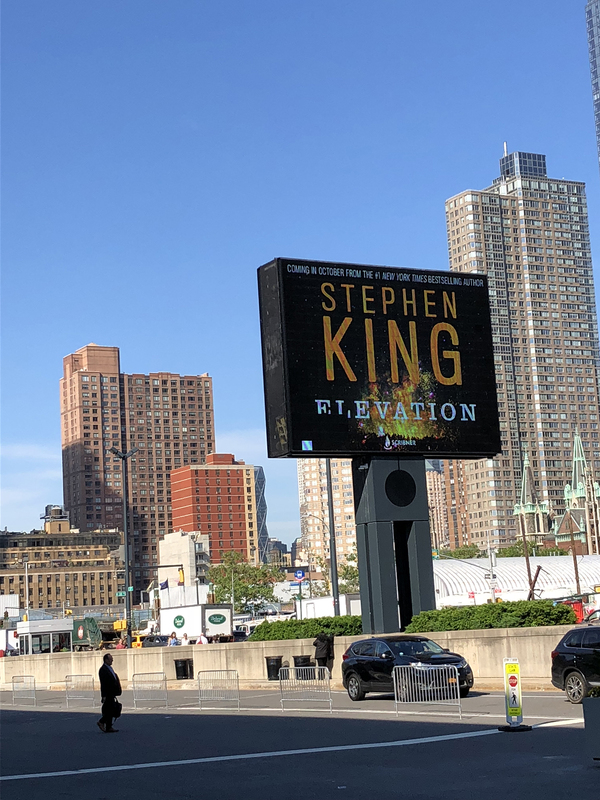 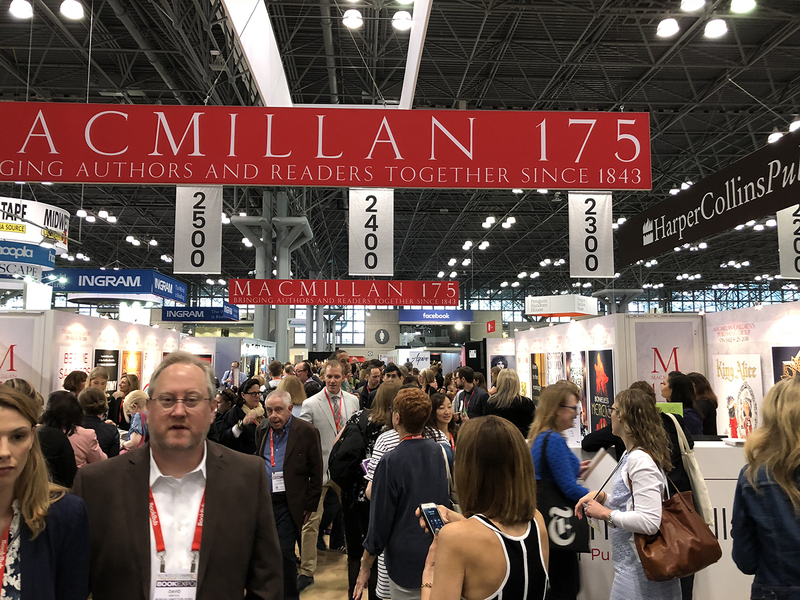 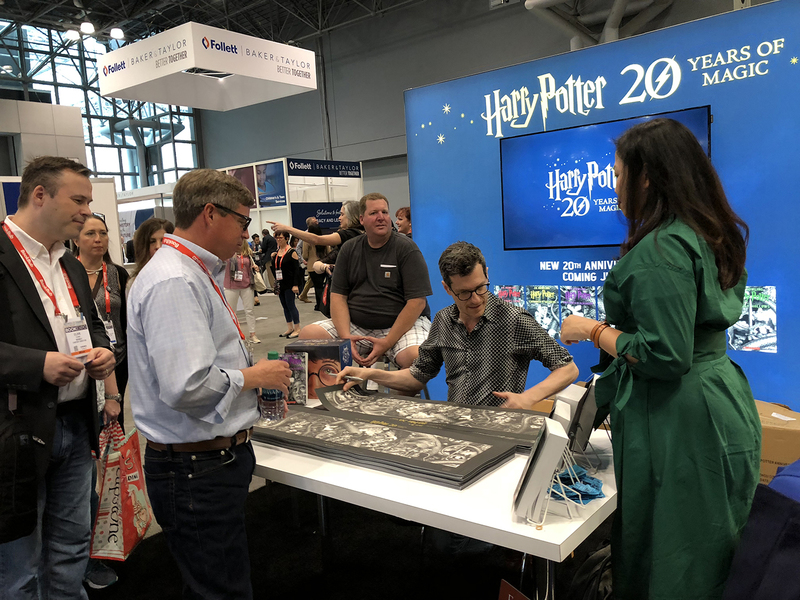 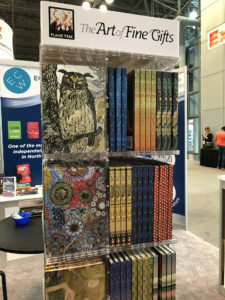 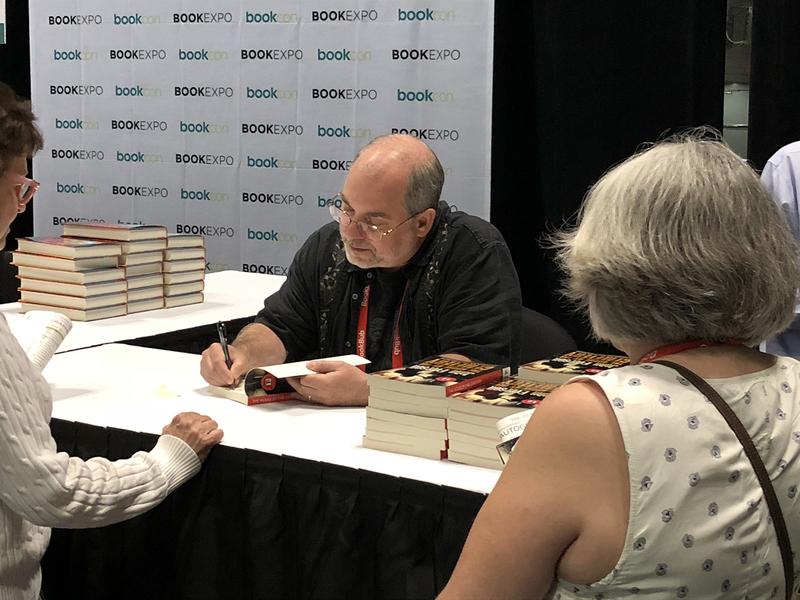 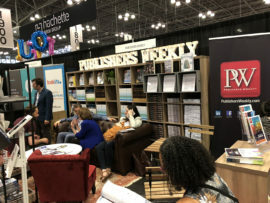 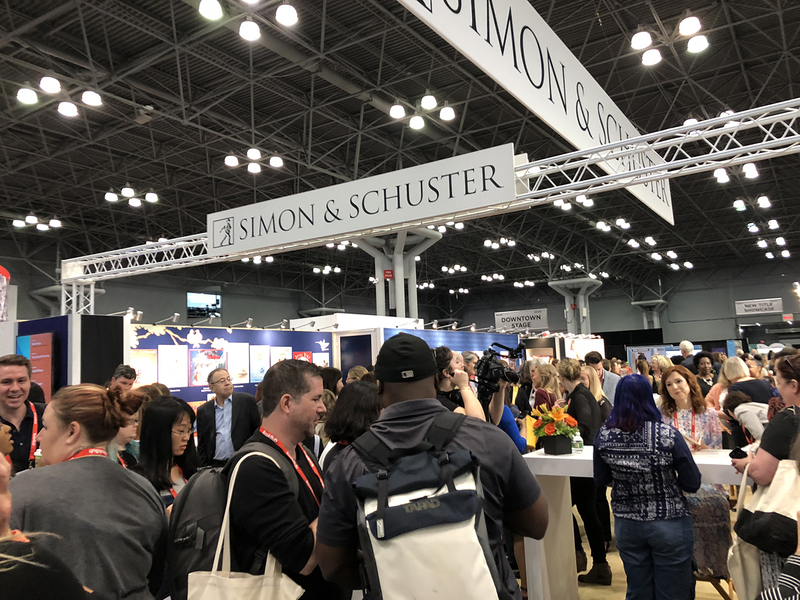 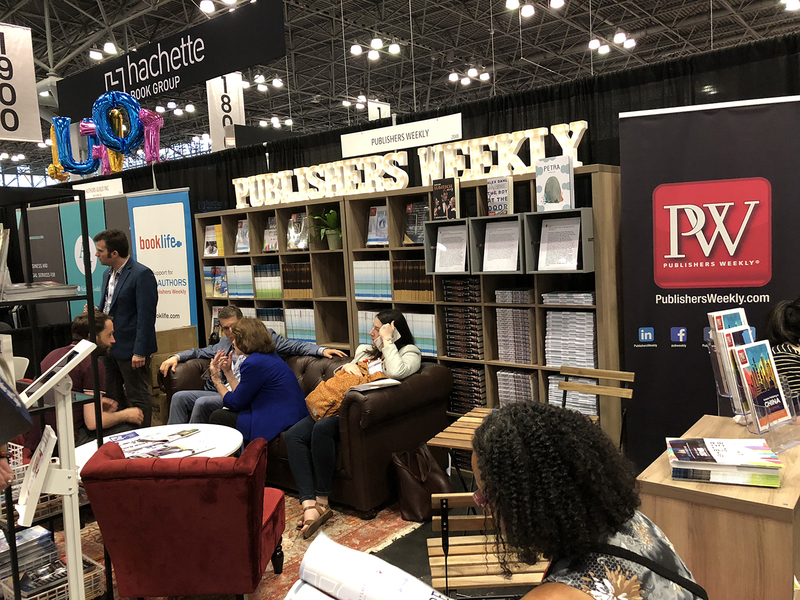 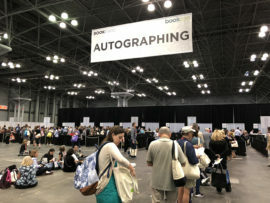 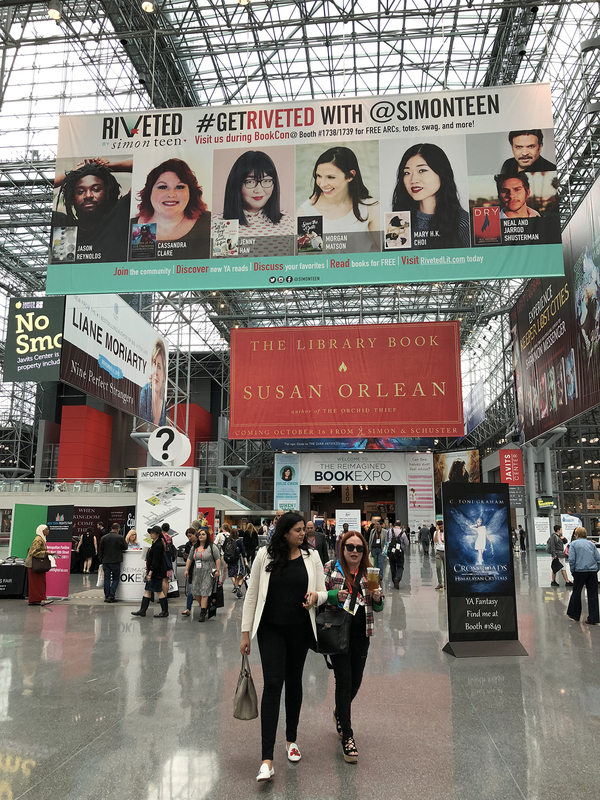 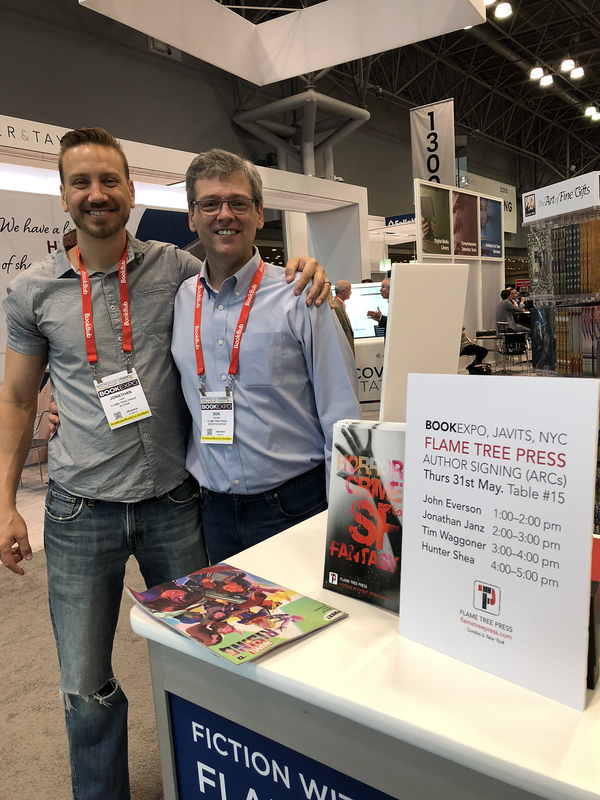 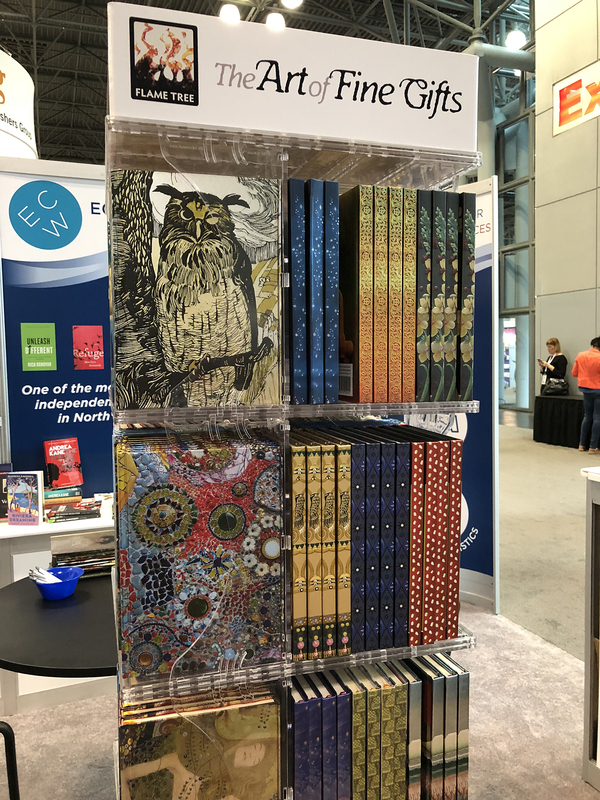 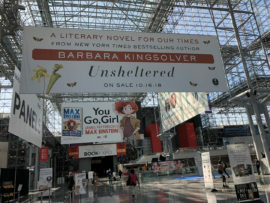 We had all flown in to New York to take part in a big “preview autographing” session the following day to debut the new Flame Tree Press imprint to the thousands of booksellers, librarians and publishing industry mavens attending the mega annual Book Expo 2018 convention. 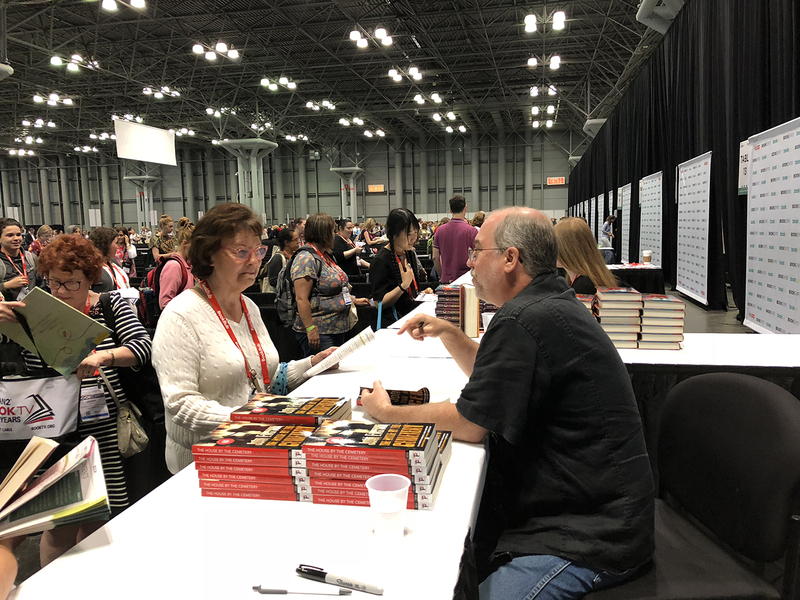 I can’t believe it’s been a week ago already… but life seems to keep moving crazy quickly! 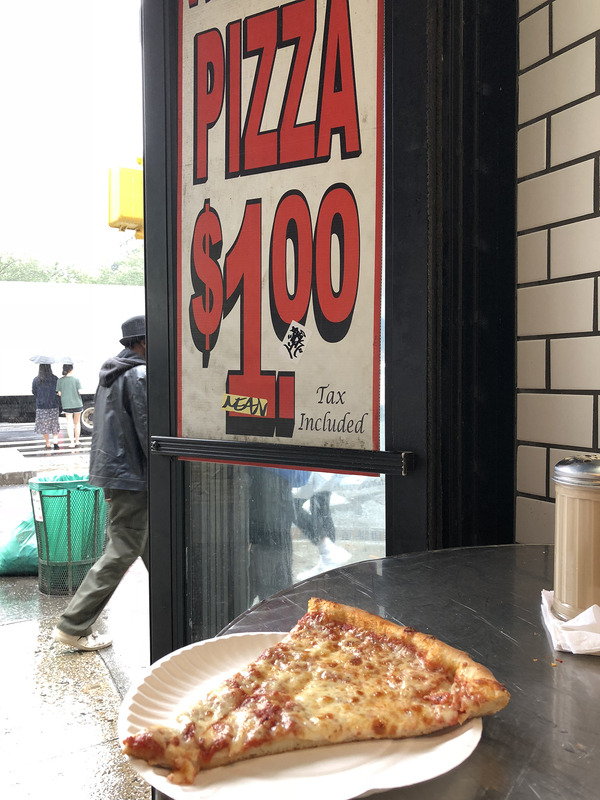 I should probably note here that I adore New York. 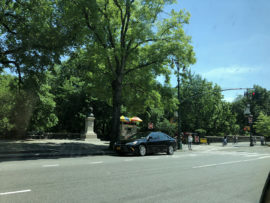 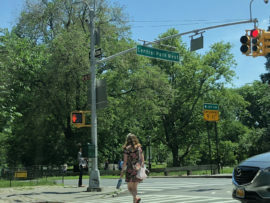 I lived in Manhattan for a summer in an NYU dorm (which was actually a converted hotel) when I scored a college magazine internship… NYC has always been a second home to me ever since. 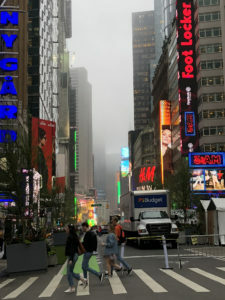 So… when I got in, I checked into my hotel (Four Points by Sheraton) and immediately hit the streets to walk around a little. 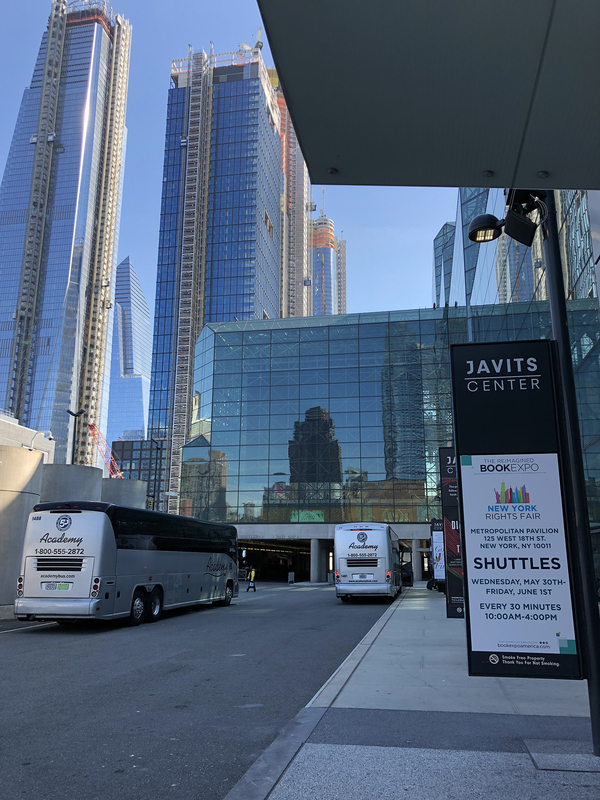 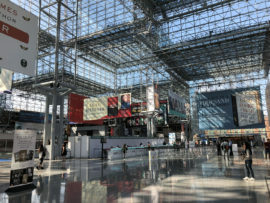 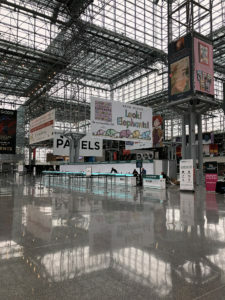 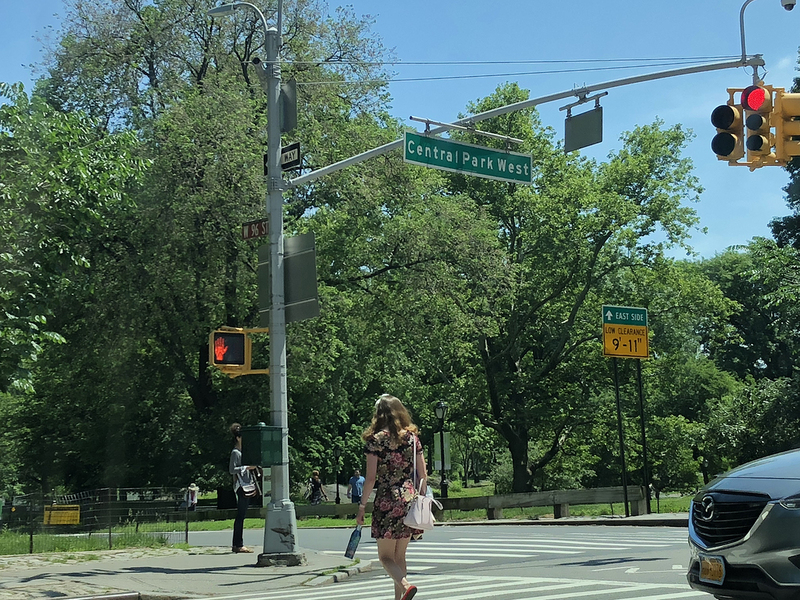 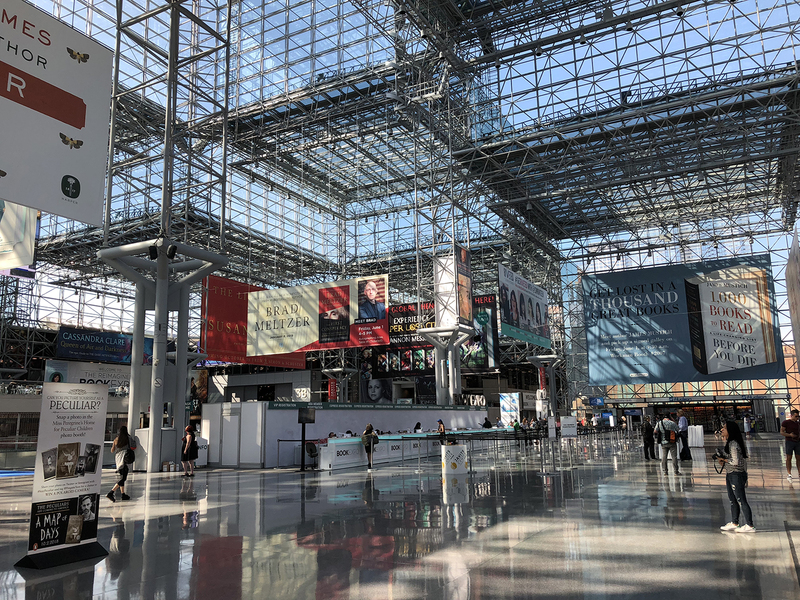 I was just at Javits Convention Center for work a month before, so I was very familiar with the walking route … consequently, I explored a bit and took the long way around to get there and check in for my badge. After a Merman NY IPA and some fried potatoes with malt vinegar, I was fortified enough to go over to Javits and retrieve my badge. 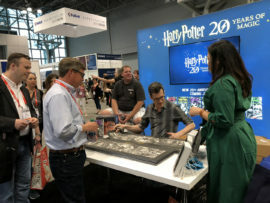 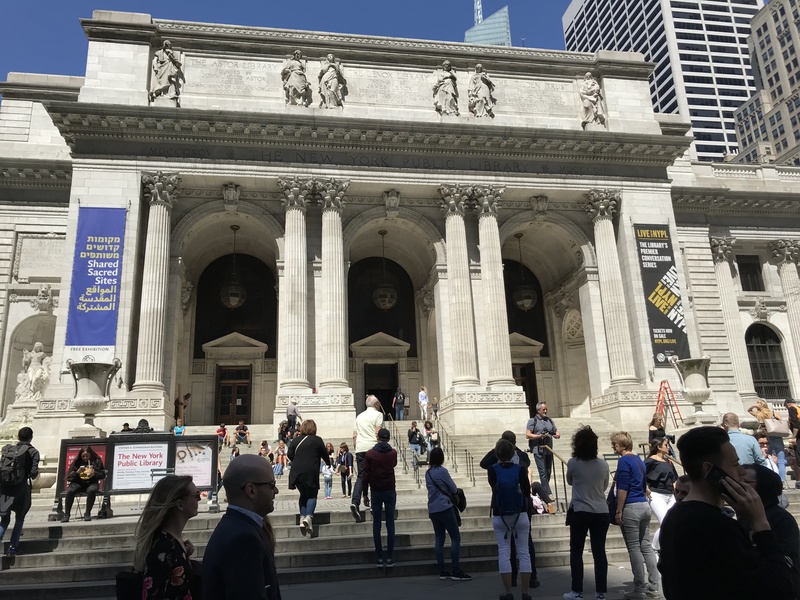 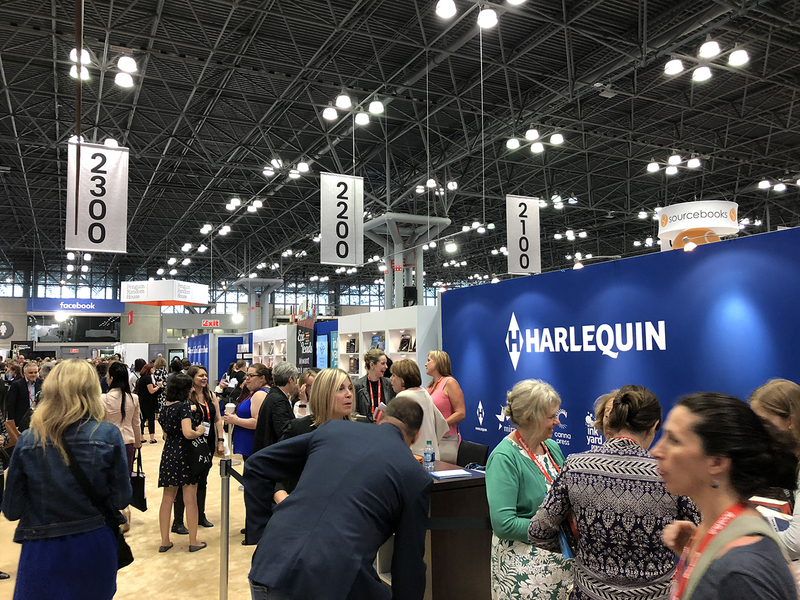 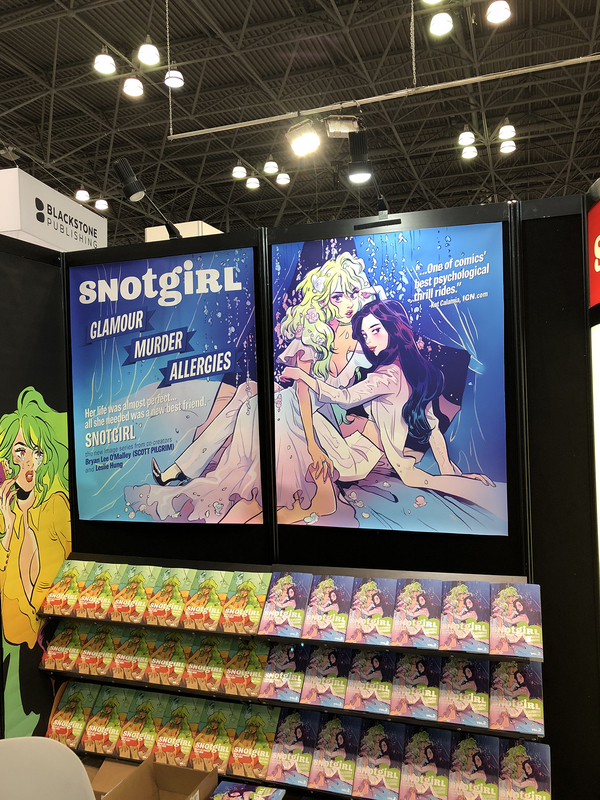 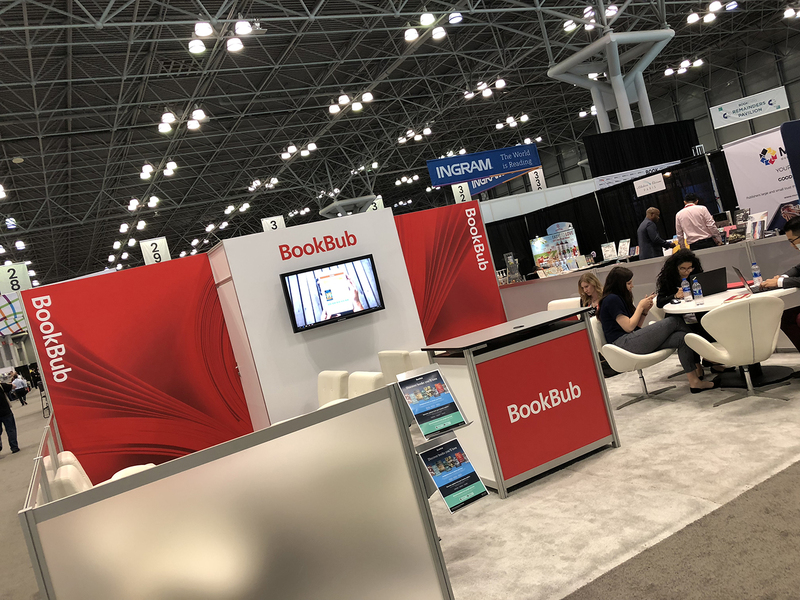 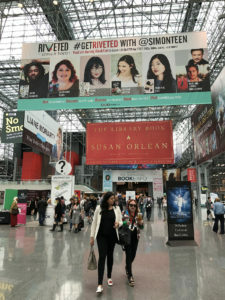 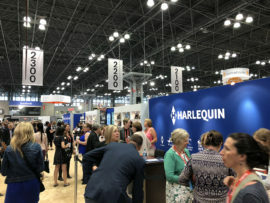 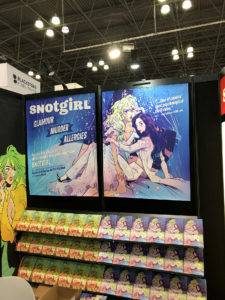 The show was only half-open when I got there, but I did walk around what was open on the Exhibit Floor, and got to meet Julianne LaBrecque, the customer account representative from BookBub who sends me all the e-mails about my promotions when I land a BookBub e-book promotion. 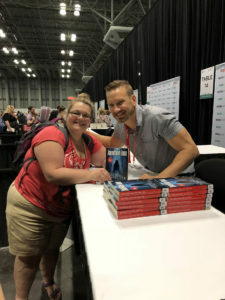 So that was a cool thing right there! 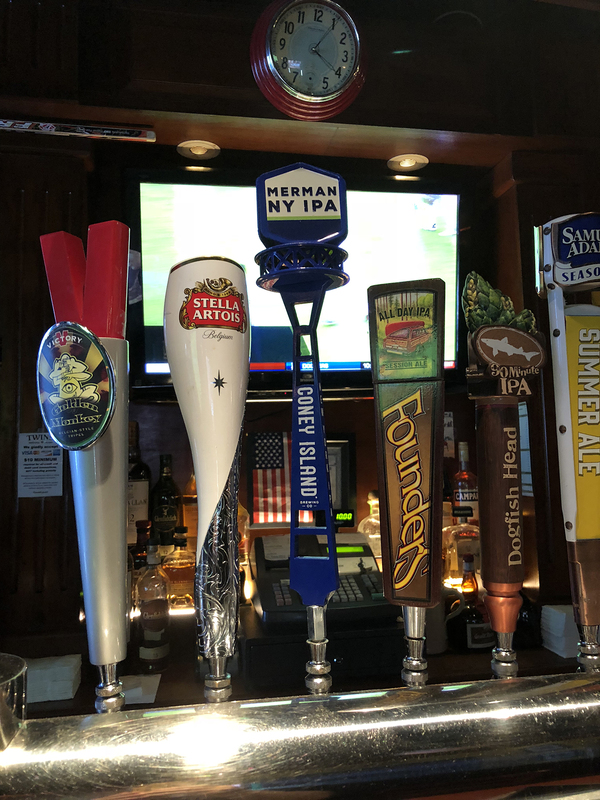 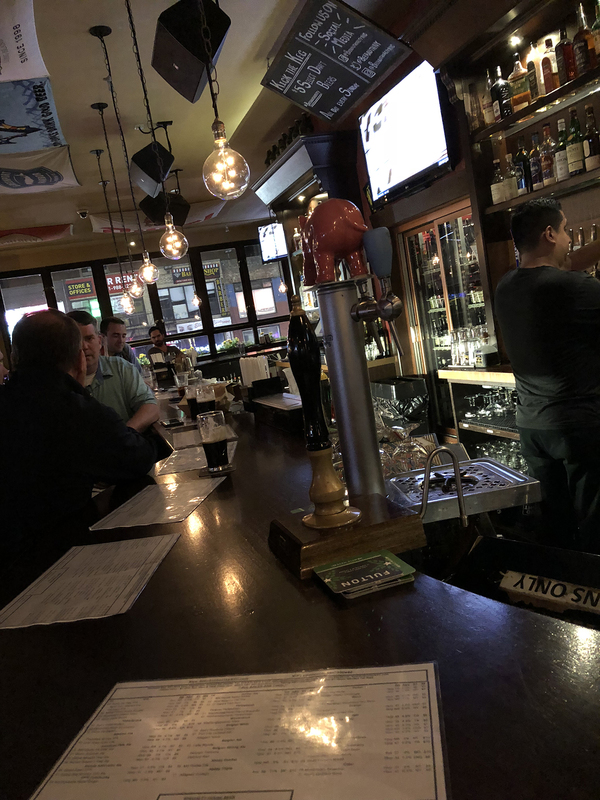 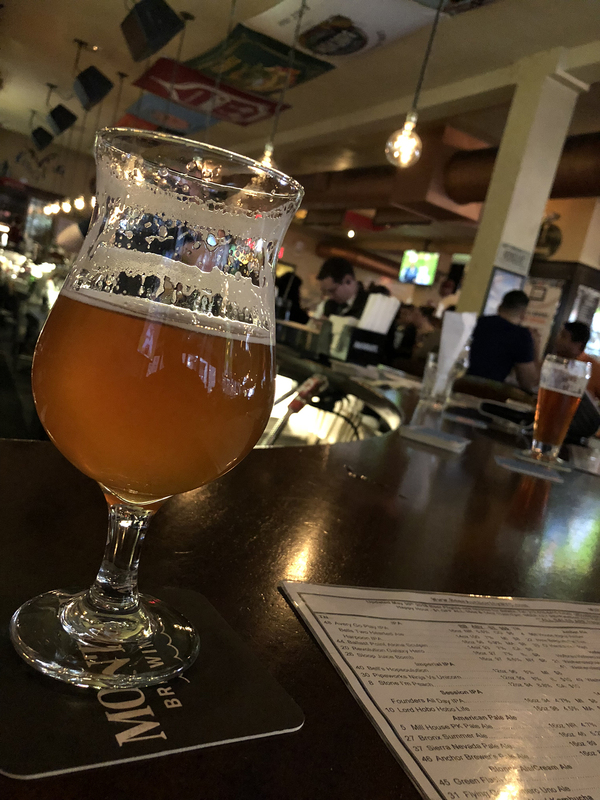 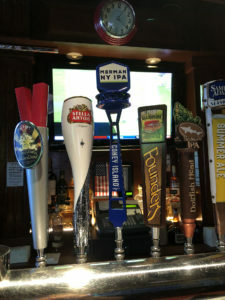 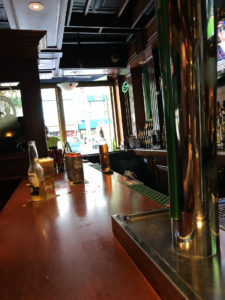 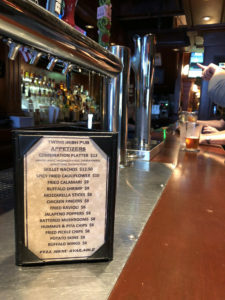 When I got back to the block of my hotel, I realized that right on the corner was the Beer Authority, a cool multi-level tons-o-taps beer place that I’d visited on my last trip, so I decided to go up and see what was on tap. I saw Tim Waggoner was in town and online, so I invited him over and got to catch up with him for a half hour before going back to the hotel to change for a Flame Tree Press group dinner. 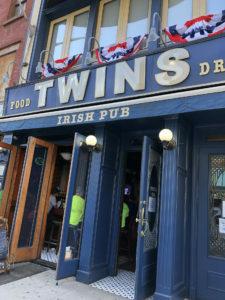 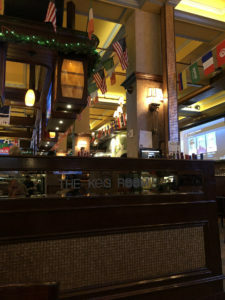 A short while later, I met Tim and Don and Nick in the lobby, and we walked over to the restaurant together a couple blocks away (etcetera etcetera). The Big Day: Book Expo 2018! 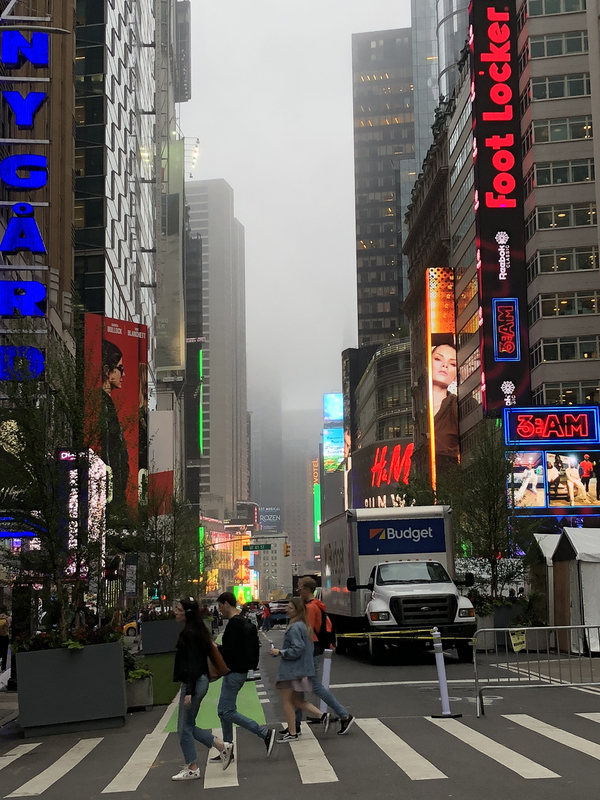 On Thursday morning, it was grey and lightly raining, so I sat under an awning on the street awhile with my coffee before heading to the convention center. 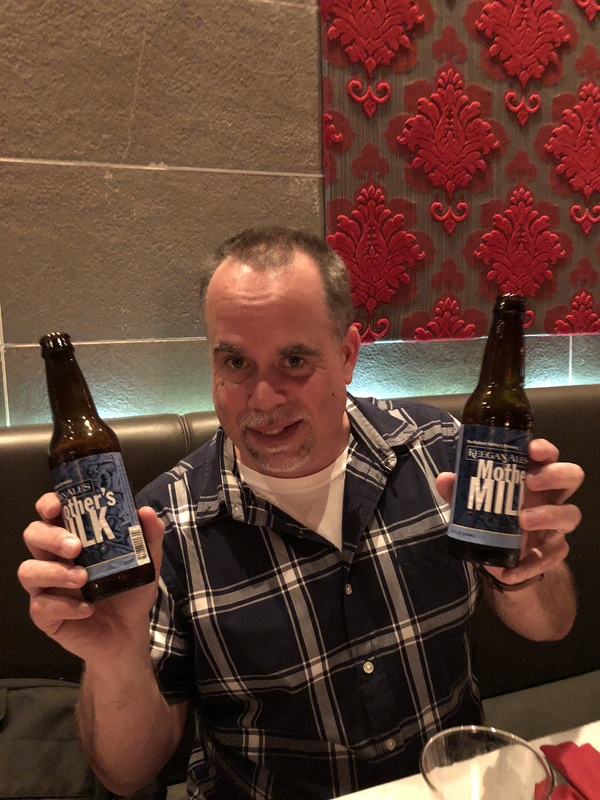 I knew I was going to get wet on the way there but… the good thing about not having much hair these days is that… it dries fast! 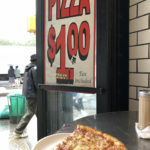 On the way there, I grabbed a late breakfast / early lunch of street pizza — a cheap, filling $1 slice! The hall at the convention center was crazy busy when I arrived — the day before it had been pretty quiet, but Thursday was “show time.” People were everywhere, different booths had authors signing, or were giving away free books. 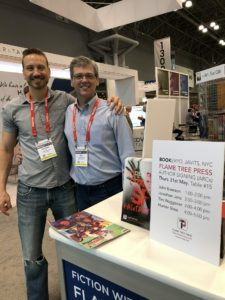 I found the Flame Tree Press booth at the front of the Baker & Taylor area, and talked a bit with Don and Nick and Jonathan Janz (who had arrived too late Wednesday night for dinner). 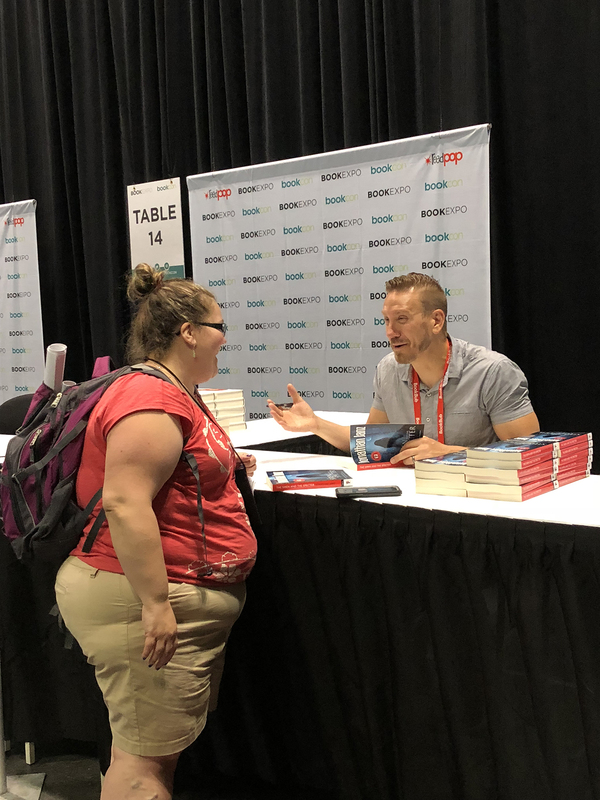 Then I walked the hall a bit with Jonathan (scored an Eric Idle button because he has an autobiography coming out) and then finally… it was time for the signing. After we gathered for a bit in the “Green Room” and signed in, we walked along the back of the row of draped signing booths until arriving at #15 — the Flame Tree home for the afternoon. 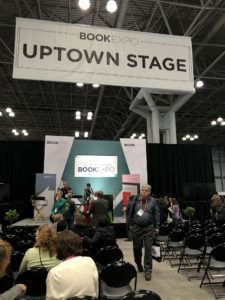 I was first up, and didn’t know what to expect — would anyone show up? 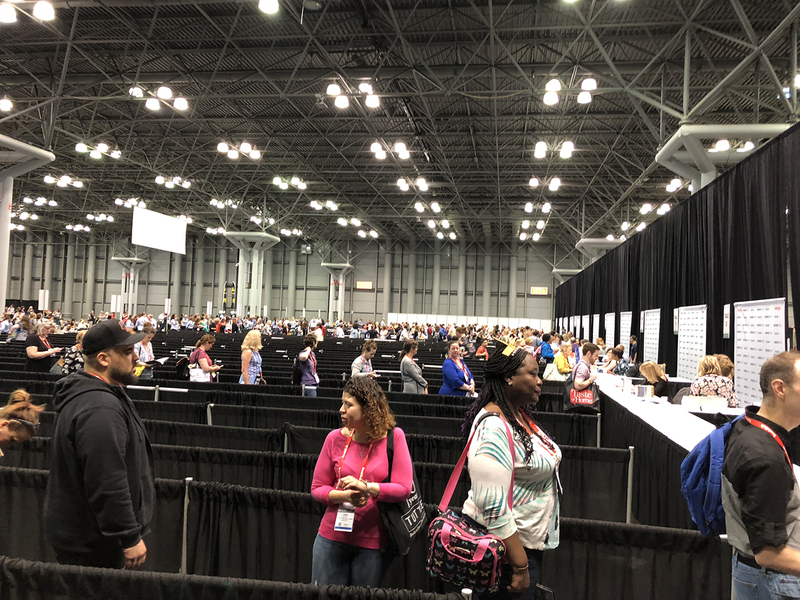 Mary Higgins Clark and Jonathan Cain (from Journey and The Babys) were both signing down the line during the same hour and naturally had long lines. Jonathan Janz was up at the end of my hour, and at some point while he was signing and I was talking with Don and his wife Leah, Hunter came over and we decided that since there was lots of space and I still had some books left, we might as well all set up shop down stream from Jonathan – we would just change who had “seat #1 priority” for the rest of the afternoon. 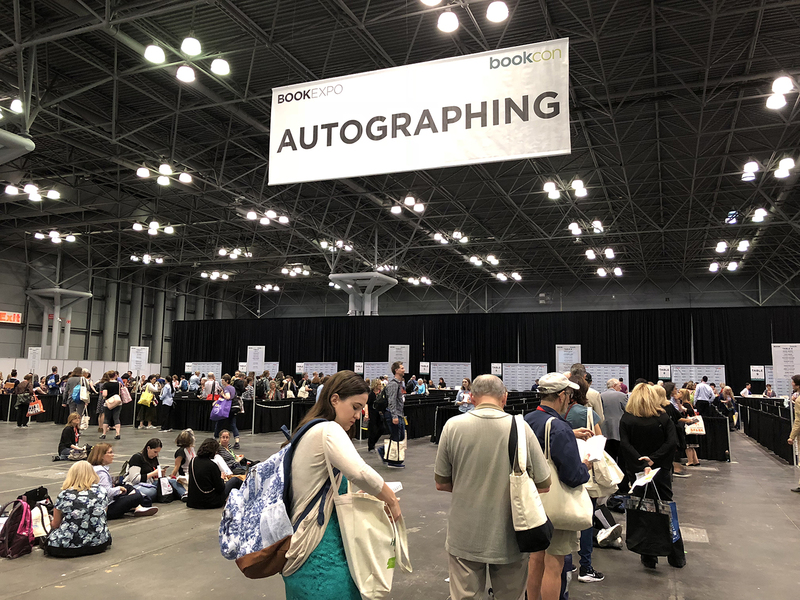 That worked out really well, so we all met people who otherwise might not have come back once every hour to get signed books. 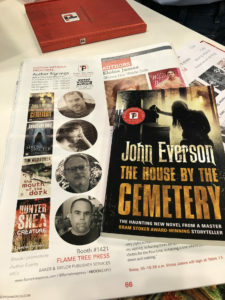 After it was all over, I only had a few copies of The House By The Cemetery left (which Flame Tree will use for promotion) and Hunter and I went back to the Flame Tree booth to talk more with Don, Nick and a couple of key sales people with Baker & Taylor (Jonathan and Tim had already headed to the airport). 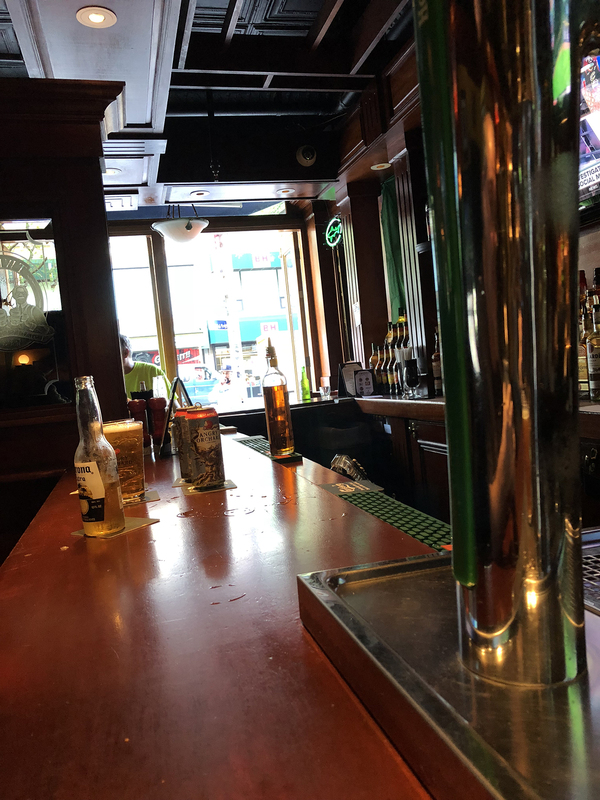 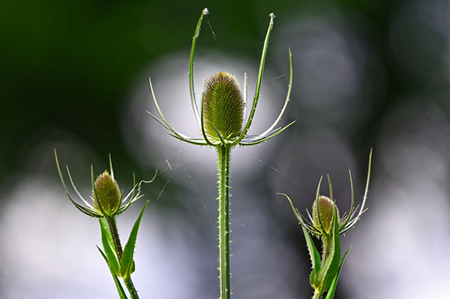 Finally, as 6 p.m. loomed closer… I had to acknowledge that “it was over.” The event we’d all been prepping for and looking forward to was… done and gone. 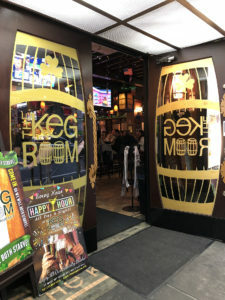 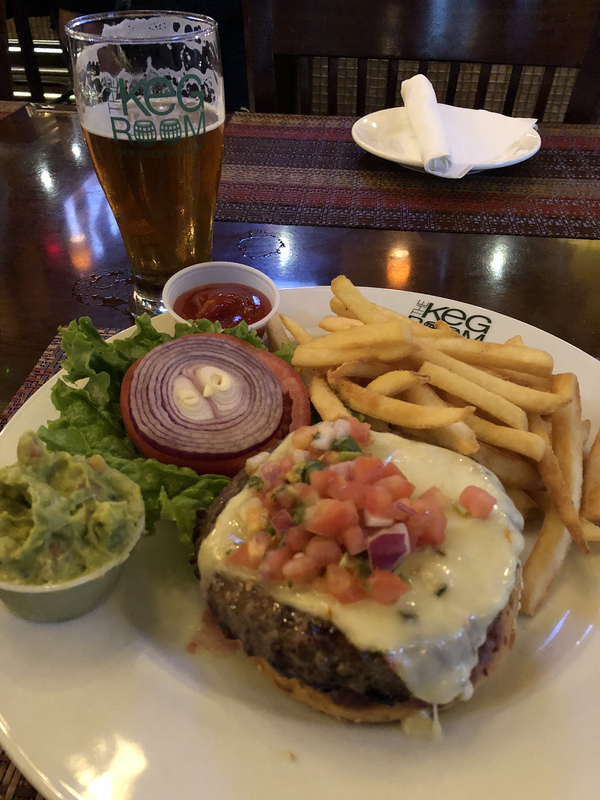 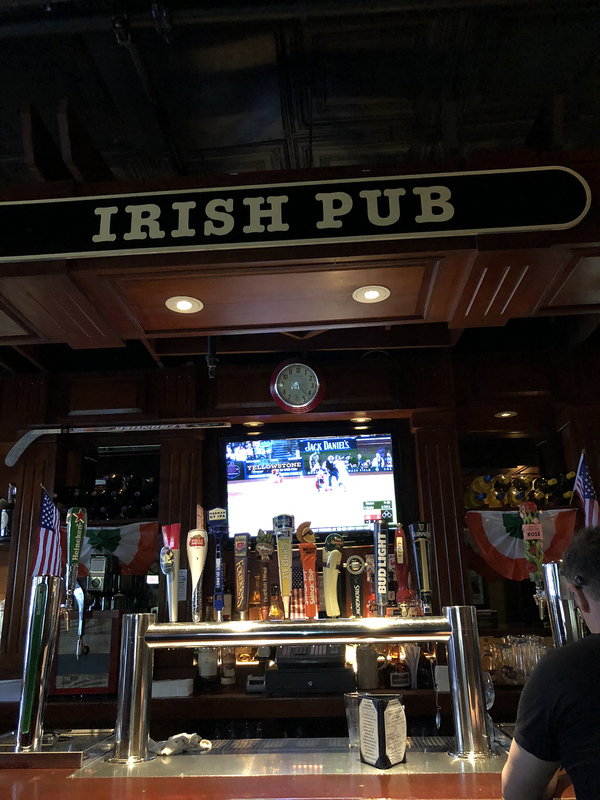 I said my goodbyes and headed to The Keg Room (another place I had visited just a month before) for a quick dinner before going to the airport. 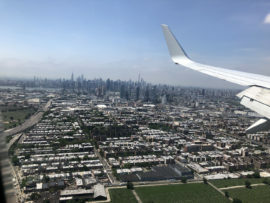 But while I was there, I got a notice that my flight was going to be delayed 90 minutes. 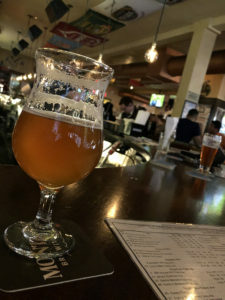 Given the flight delay, I decided to have a last beer at The Beer Authority before getting my bags from the hotel, where I was able to see some of the Cubs-Mets game. I hated leaving there, because I had a great seat, and was enjoying the game… but you never know with flight delays if they’ll suddenly say “ok, we’re actually only going to be 15 minutes delayed, not an hour and a half” … so I figured I’d better go sit at the airport… though I didn’t rush. 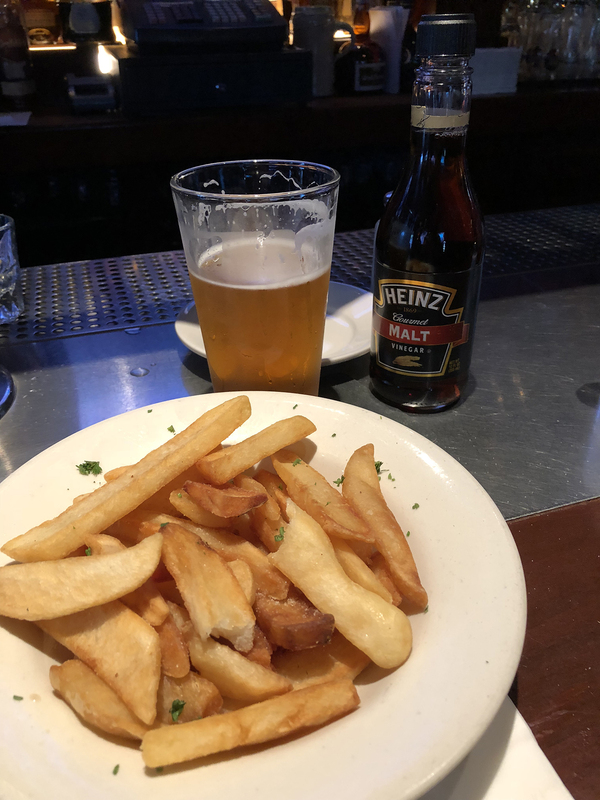 Good thing that I didn’t rush, too… once at the airport, the flight ended up delayed another hour. 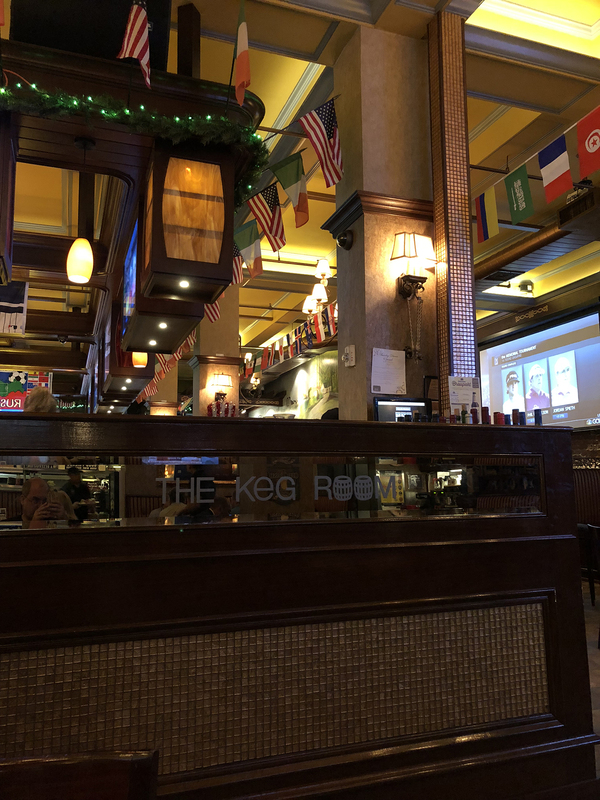 I tried to get the Cubs game on at an airport bar. 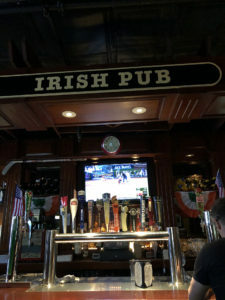 Since it was a New York Mets home game, I figured that would be easy but… they couldn’t find it on DirectTV! 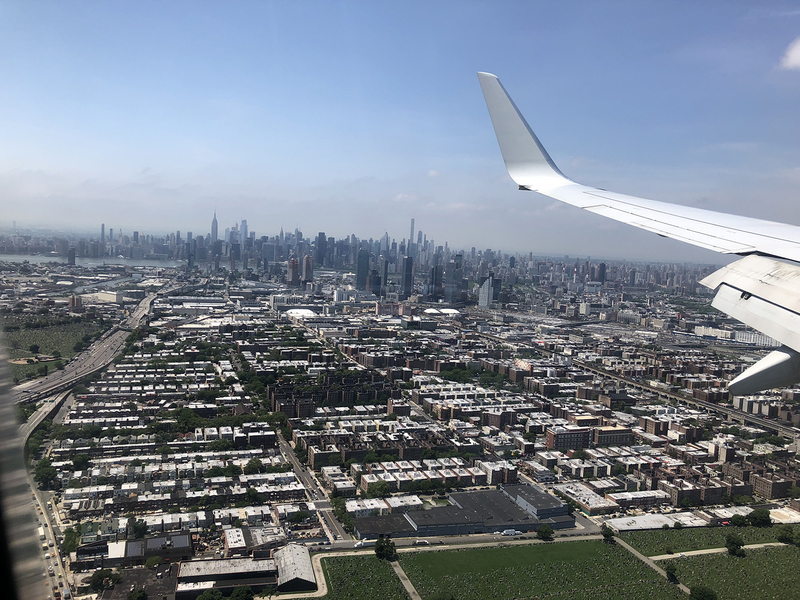 Eventually, after midnight, we finally took off, and I got home past 2:30 in the morning. 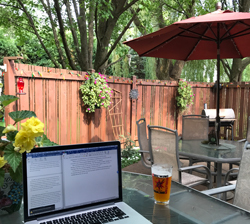 Thankfully, I’d taken Friday off from work as well as Wed/Thurs! 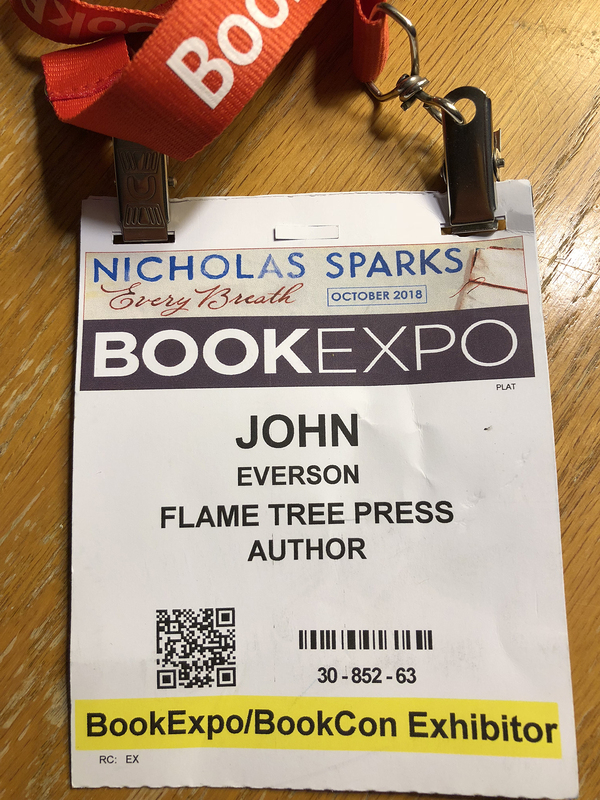 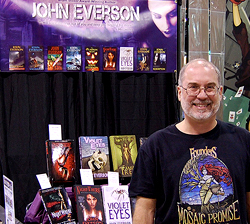 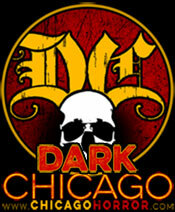 So… all in all… an amazing experience that introduced the new Flame Tree imprint — and my 10th novel — to a lot of people. I can’t wait until this fall when everyone will have a chance to finally read it!